Fancy a romantic coastal escape? Is there anything more magical, more intriguing, more romantic and filled with possibility, than escaping to the coast? The sea has been a constant in my life for long as I can remember. It frightens me, it sickens me, it awes me, it draws me, it inspires and renews and recreates me. My astrological element is fire, if you believe in such things. But my soul craves the sea. So many of my stories start and end near the coast. In Hearts on Hold, reclusive artist Cate Boyd flees Sydney’s Bondi Beach for the rocky, remote island cliffs of Mediterranean Gozo, after losing her husband to the treacherous depths of the Great Barrier Reef. My current works in progress, too, are driven by the moods and muses of the sea. So when the chance came to leave my hometown for a little house on the beach a couple of hours north of the city, I grabbed it with grateful hands and a hopeful, yearning heart. …and more than likely humming this. ← Lily Malone is in the Calypso Bar! I crave the sea too. It’s not a holiday if you don’t have a view of the ocean. 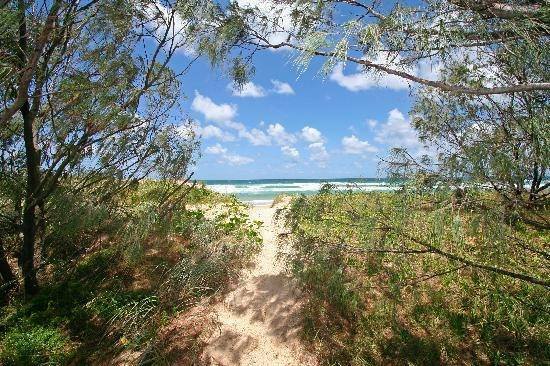 The Sunshine Coast is my favourite place – we go there every year without fail. Building lots of precious memories, Anita! I don’t know how romantic they are but I love the German North and Baltic sea coasts. Servetus, I wasn’t lucky enough (smart enough?!) to see anything of the North or Baltic coasts, but I always imagine them brooding, stormy, perhaps menacing (but what sea isn’t? )… definitely romantic! they’re never warm, even in summer — so I guess they have that sort of brooding quality of romance. And they have really great islands.